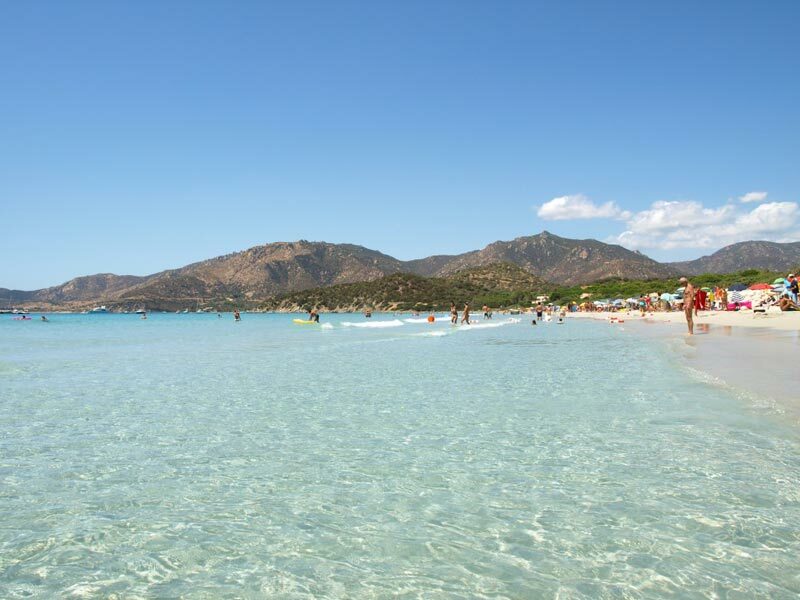 Villasimius is located in the province of Cagliari, in the extreme south-east of Sardinia, overlooking the Gulf of Carbonara (coordinates 39 ° 08’32 “N 9 ° 31’14” E). This town deserves the appreciation of both the local inhabitants, who like to enjoy the spectacular sea, both of travelers who admire nature and benefit from the tourist facilities and accommodation with all comfort. The white sandy beaches and the rich depths of a varied fauna almost unique in its ecosystem are preserved by the Nature Reserve of Carbonara, which is also the destination of bird migration. In high season (from July to early September), its beaches are very crowded and frequented by families with children, couples and groups of friends who will find it an ideal destination for their relaxation, thanks to the lidos and many local , bars, pubs and restaurants serving local cuisine, where the night life will be assured. 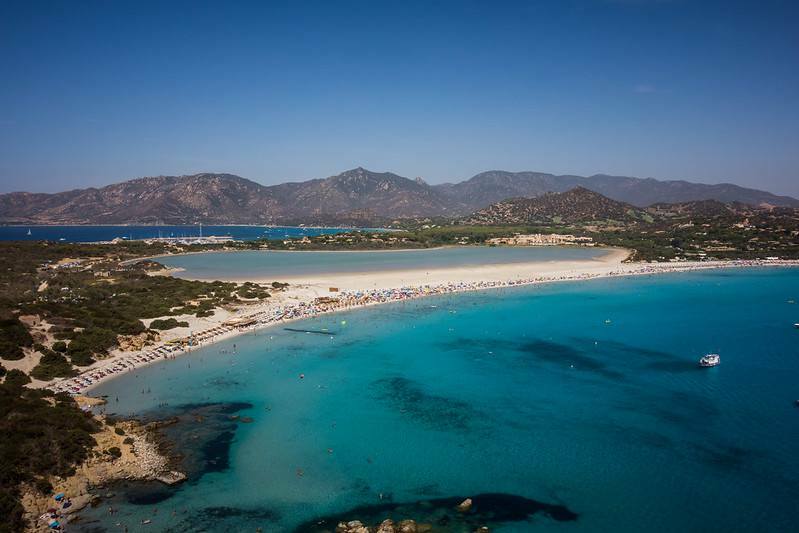 Villasimius boasts some of the most beautiful beaches of South Sardinia, among many others, stand out those of Port Rush, Campulongu, Punta Molentis, Cala Caterina and Riso beach. After going through a pine forest leads to the beach of Porto Giunco and immediately opens up before our eyes a typical scenario of the best beach vacation in a dream location. Crystal clear water, bottom rich in wildlife where to fascinating dives, even with diving companions on site. Porto Giunco is reached by taking the SS 125 towards the south; They are several beach resorts where you can rent umbrellas and deck chairs for relaxing days at sea. Thanks to the favorable winds, this stretch of coast is also suitable for those who enjoy surfing and windsurfing. The beach is maintained and kept clean for a welcome worthy of the most demanding and the serenity of families who frequent the coast. The nearby pond Notteri, protected area, is populated by pink flamingos. The beach of Campulongu surprising for water clarity and to the seabed that are kept low for tens of meters from the shore, ideal, therefore, for children who can swim lulled by warm waters. The beach is equipped with showers, cabins, umbrellas and chairs, but there are also free stretches. Caribbean scenery and total relaxation, except for the months of July and August, during which it is taken of assault by tourists. 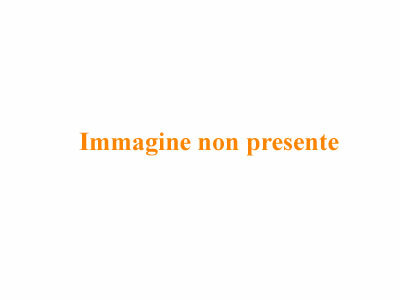 Via dei Ginepri is the road that leads to the beach: You can also take advantage of ample parking. Punta Molentis is the quietest beach of Villasimius even during the high season, so ideal for those seeking privacy and relaxation. It is displayed in all its beauty with a rugged coastline that alternates between the rocks to the Mediterranean. The bay that encloses this marine gem is narrow and surrounded by rocks shaped by erosion, among which you can see beautiful natural pools. thatched umbrellas and all the amenities you can have in a beach facilities, attract Italian and foreign tourists. Permission is granted to underwater fishing, surfing, and you can admire the coast from the sea with boats for rent. The Cala Caterina beach is accessible from Via Lago Maggiore and is completely free because of its particular natural conformation dominated by limestone cliffs and rocks that create the typical small bays. Behind, it is sheltered by dense Mediterranean vegetation and is frequented mainly by young people, foreign tourists and locals. The sand is soft and the sea shines a deep blue color because of the depth. Wreck enthusiasts can also admire, a few meters from the coast, the Egle ship carrying a cargo of coal (still visible) and that was sunk in ’43. As you walk towards the sea Via degli Aranci, it will be revealed in front of Spiaggia del Riso, which takes its name from the whiteness of its sand. 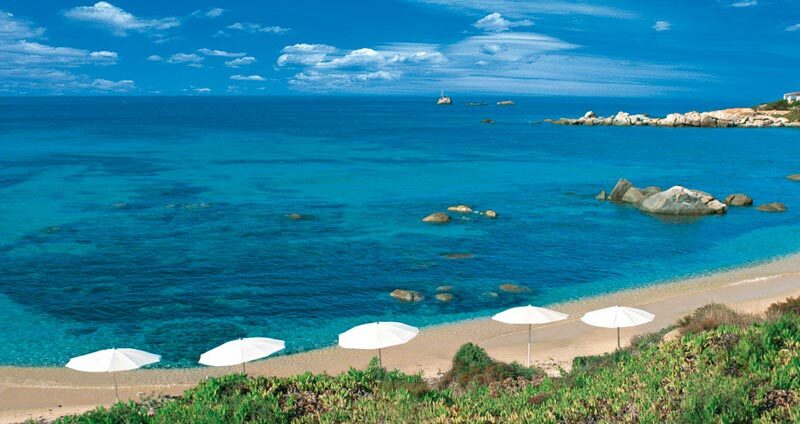 It is characterized by the nearby Mediterranean beach of fine sand interspersed with rocks. Popular with tourists of all ages and free at times, is equipped with bars and restaurants that are part of the numerous camping surroundings and their establishments. 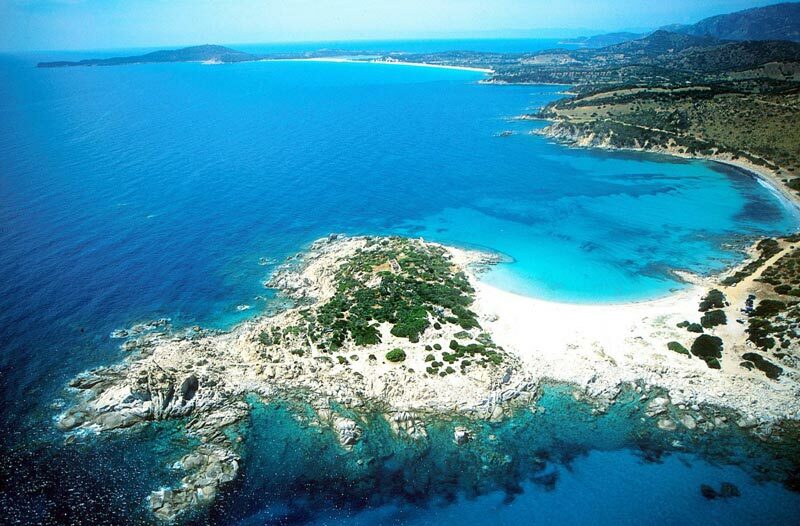 The blue sea, with deep and sheltered coves, is great for those who enjoy long swims. The restaurants with traditional cuisine, bars, well-maintained accommodation and the view make this beach paradise.